Improve Your Health with Tai Chi. 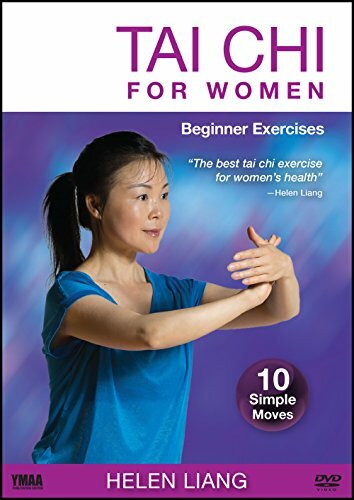 Tai Chi for Women is a simple follow-along workout for beginners. Using exercises that target women's most common health issues, Master Helen shows you how to stay healthy, flexible, and youthful at any age. You will learn natural ways to relieve stress, improve your balance, feel energetic, and strengthen your bones. Tai chi uses low-impact moves to stimulate your circulation and cardiovascular system, and can be used to relieve arthritis. The gentle stretching and deep breathing within tai chi help you to feel calm and relaxed. Easy-to-follow step-by-step instruction.. Mirror view demonstrations from side to side.. Effective ways to heal and prevent the most common ailments.. Tai Chi for Women will empower you to lead a healthier and more balanced life. CHAPTERS - Introduction - Relaxation Warm Up - Energy Exercises - Tai Chi Stepping Exercises - Tai Chi Form Instruction - Tai Chi Form - Front View - Tai Chi Form - Rear View - Keys to Success - Conclusion - Follow-along Workout. Follow-along Workout" is a DVD chapter you can use after you've watched the whole video lesson a few times. You can instantly practice the follow along exercises with Master Helen, and skip the more detailed instructions when you have limited time.